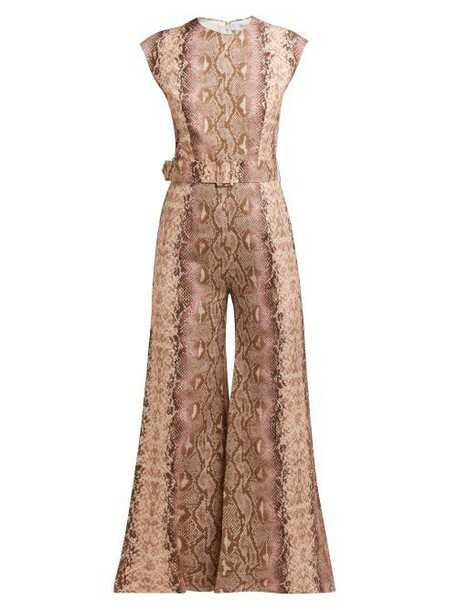 Emilia Wickstead - Emilia Wickstead's pink python-print jumpsuit is a strikingly feminine alternative to after-dark dresses. It's crafted from cotton-backed linen with wide cropped legs - note the pressed creases - to balance the close-fitting proportions of the bodice, then is finished with a buckled belt. Style it simply with pink satin mules and a box clutch to create a statement evening edit.